See the Hollywood Walk of Fame and Grauman’s Chinese Theatre in Los Angeles. Visit the artist colony of Sedona and enjoy the rugged beauty of Bryce National Park, as you walk along Sunset Point. And don’t forget to take a bite out of the Big Apple as you view Manhattan’s skyscrapers, Ellis Island and the Statue of Liberty. With Insight Vacations gain access to exclusive experiences: • Join a Local Expert for an informative presentation at the Grand Canyon • In Punxsutawney meet a member of the 'Inner Circle' • Dine in the home of a local in New York • Join a stadium guide for a VIP tour of Dallas Cowboys • See the nation’s iconic memorials and monuments in Washington D.C. • Enjoy a guided behind-the-scenes tour of the Global Headquarters of CNN in Atlanta • Meet Lakota tribe members as they share a live narrative of the Great Sioux Nation. California here we come. From a unique mix of modernity and boho influence in San Francisco, to the lively charms of Los Angeles, and rugged beauty of Yosemite national park, you'll be spoilt for choice in the Golden State. Delve into San Francisco’s flower power history and savour the unique wines in California's wine country with a Highlight Dinner overlooking Sonoma Plaza. 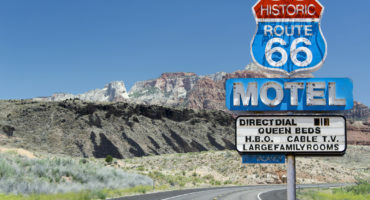 A trip for the brave, delve into the Wild West as you make your away across a rugged land famous for cowboys and rodeo. You'll come face-to-face with some monumental figures, while a day at Deadwood will teach you about the fascinating days of notable figures including Wild Bill Hickock and Calamity Jane. When to go: The sheer size of the USA is reflected in its diverse climate. For hot weather head to California in the summer months or gaze upon beautiful fall hues in New England in October time. Standard of 120V, with a frequency of 60Hz.